The Jazz Arts Group of Columbus (JAG) is pleased to announce its 2013-14 season of the Columbus Jazz Orchestra (CJO) and Inside Track small-ensemble series. Under the direction of world-renowned band leader and trumpet virtuoso Byron Stripling, the Columbus Jazz Orchestra, now in its 41st year, continues to break new ground while honoring the rich heritage of America’s classical music – jazz. With season after season of inspiring, uplifting performances, the CJO is making audiences stand up and shout for more! The Swingin’ with the CJO series returns to its home at the historic Southern Theatre for one of JAG’s best seasons ever including unforgettable performances from Grammy Award-winning arranger/conductor John Clayton, singer David Pruyn, and our very own Bobby Floyd in “What the World Needs Now: Bacharach, Brubeck & Beyond” (October 24-27, 2013); Tony Award-winning vocal sensation Debbie Gravitte in the annual holiday spectacular “Home for the Holidays” (December 5-8, 2013); everyone’s favorite former teenager Molly Ringwald singing the Great American Songbook in “Don’t You Forget About Me” (February 6-9, 2014); the great clarinetist/saxophonist Ken Peplowski in the role of Benny Goodman and rising young jazz trumpeter/vocalist Bria Skonberg in “Bravo, Benny! : The Famous 1938 Carnegie Hall Jazz Concert” (March 13-16, 2014); and our own trumpet virtuoso Byron Stripling showcasing the CJO horns plus trumpeter/composer and Cleveland Jazz Orchestra artistic director Sean Jones in “Trumpet Summit” (April 10-13, 2014). The CJO will also partner with the Community Shelter Board to present a special concert exploring the issues of homelessness in central Ohio. “A Concert to End Homelessness” (January 17-18, 2014 at the Capitol Theatre – Riffe Center) will feature an unforgettable, inspiring evening of big band jazz, song and dance to raise awareness and funds for the homeless. Audience members can join Stripling for a casual and engaging conversation with the wonderful guest artists of the Columbus Jazz Orchestra in a new workshop series at the Jazz Academy. “Offstage at the Jazz Academy” provides participants a behind-the-scenes glimpse from the artist perspective on performing with the CJO – adding new perspective to being an audience member. In addition to the opportunity to learn something new, each guest artist will be asked to share what they are currently listening to on their iPods or CD players, introducing audiences to new and exciting music and artists. “Offstage at the Jazz Academy” is free to CJO subscribers and $10 for general registrants. Pre-registration is requested and available at www.jazzartsgroup.org. The Inside Track series gives music lovers from all walks of life the chance to stretch their ears and stretch themselves at the newly restored and historic Lincoln Theatre. The revamped small-ensemble series will feature the avant-garde funk jazz of the Dallas/New York City musician collective Snarky Puppy (September 6, 2013); the gypsy jazz of Hot Club of Detroit featuring the unique vocal stylings of French artist Cyrille Aimee (October 12, 2013); Atlanta-based soul band Ruby Velle & the Soulphonics (November 8, 2013); CJO all-stars Byron Stripling and Bobby Floyd in the post-holiday show “Swingin’ the New Year” (December 28, 2013); Grammy Award-winning blues guitarist and film composer/actor Chris Thomas King (March 1, 2014); and the ear-bending collaboration of the New Orleans funk of the New Basics Brass Band and bluegrass of The Relentless Mules in “Brass & Grass” (April 26, 2014). Season subscriptions are available through the CAPA ticket office at 39 East State Street or by calling 614-469-0939. Single tickets for the Swingin’ with the CJO series are available Monday, August 19 for $52 (main floor), $46 (first balcony – loge), $41 (first balcony – mezzanine) and $30 (second balcony). Single tickets for the Inside Track series are also available August 19 for $20 general admission, except Hot Club of Detroit ($25 general admission) and “Swingin’ the New Year” ($30 general admission). Student and group rates are also available for all Swingin’ with the CJO shows. 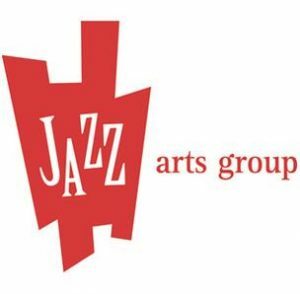 Call 614-294-5200 or visit www.jazzartsgroup.org for more information on individual shows and subscriptions. The 2013-14 Swingin’ with the CJO season is proudly presented by US Bank with ongoing support from the Greater Columbus Arts Council, The Columbus Foundation, the Ohio Arts Council, The Reinberger Foundation, and The Westin Columbus. Additional support for the Columbus Jazz Orchestra is provided by Grange Insurance, Plante Moran, US Bank, and Ann & Tom Hoaglin with media support from The Columbus Dispatch, WOSU Public Media, and WMNI AM 920. The 2013-14 Inside Track season is proudly presented by State Auto with media support from WCBE 90.5 FM.